If you are designing or renovating a kitchen to be more accessible for clients who want to age in place, or for someone who uses a wheelchair, you’ve come to the right place. 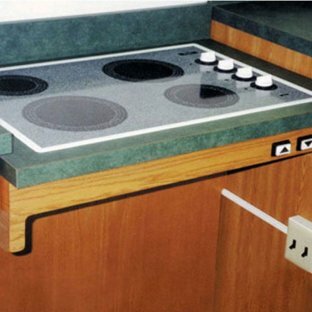 There are many benefits of accessible kitchens for every home. 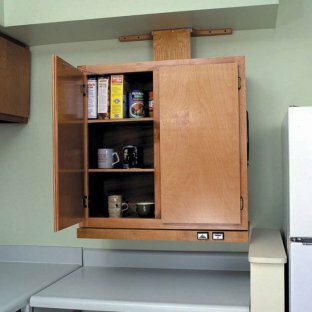 Why install height adjustable cabinet lifts? Imagine trying to prepare a meal, even something simple like a bowl of cereal, from a seated position. If you were in a wheelchair would you be able to reach a cereal bowl, or the cereal. Most everyday dishes are kept in the upper cabinets, which are out of reach to someone in a wheelchair, or hard to reach for someone with any mobility limitations. Anyone should be able to prepare a hot meal for themselves, but most stovetops are not safe or accessible for someone in a wheelchair. 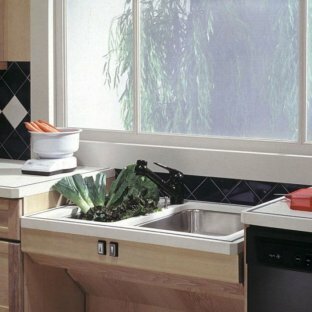 To complete the usable workspace in the kitchen, you can also add a Height Adjustable Sink Lift. A standard kitchen sink can be difficult to use for someone in a wheelchair, if the faucet is mounted at the back, and if the sinks a very deep. 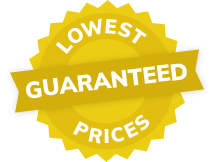 Visit FreedomLiftSystems.com for details and pricing.